World Debate Club Students Takeover Westminster! Both are issues about deciding the future of young people; should they decide for themselves? Should the state decide they need to be educated further? Should they help to decide who is in power? But of the two only the second is regularly discussed. Youth rights and whether people of sixteen or seventeen years old are mature enough to vote is a major issue with Scotland having allowed 16 year olds to vote in their independence referendum when those same (now 17 year olds) were then denied the vote in the equally significant referendum to leave the EU. But of the two perhaps it is the first debate that is ultimately the more important. Changing the voting age can be done any time and have an impact. But changing education will take years to take years to come to fruition. If the future economy needs higher skills then the skills that will be needed in thirty years’ time need to be taught now. 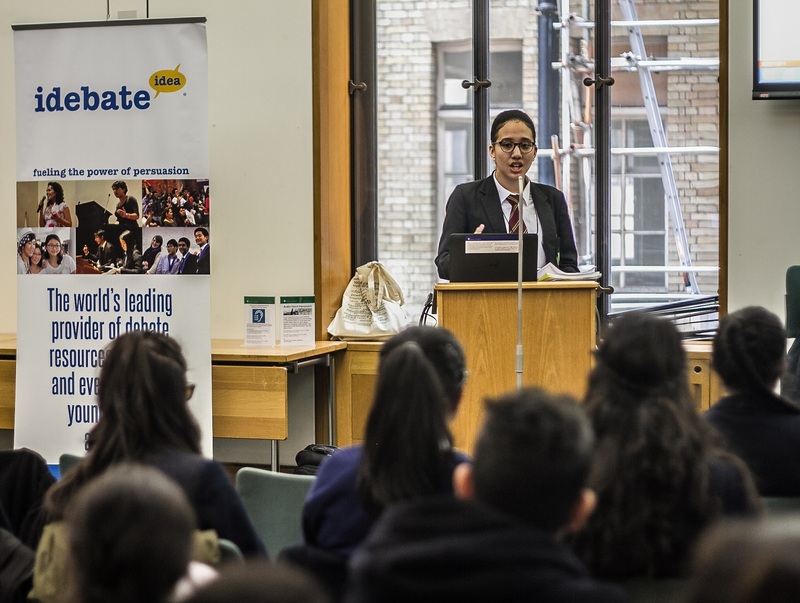 For the students who took part from Hackney Community College, City and Islington College, Ealing, Hammersmith and West London College, Queens Park Community School, Avanti House School, and Stanborough School it was a chance to get across their ideas in a formal setting. For some it was their first time debating in public, and for a few their first debate in anything other than training. The two debates provided a contrast of styles, perhaps dictated by the subjects. The debate on degree education was more analytical and in depth in its argumentation. The debaters asked and attempted to answer why will more skills be wanted in the future? What will happen to those who have less aptitude towards academia? How will an aging population affect the need for skills? By contrast the second debate was much more passionate and rhetorical. The proposition fired up the room with arguments about being denied their right to vote. The opposition responded in kind by appealing to the audience that young people would not use their vote if they had one. And if they did it would likely be misused or open to influences beyond analysis of policy. Argument and nuance sometimes lost as the audience roared their appreciation. The debate was chaired by Michel Massih QC and closed by our Chair Sophia Cannon who commended the debaters on their performance as well as giving anecdotes and suggestions for how to improve. With thanks to our supporters Hackney Giving and Allen & Overy.